New York City schools Chancellor Richard Carranza minced no words Tuesday when he addressed Asian activists opposing a new plan to desegregate the city’s specialized public schools. Members of some Asian communities had expressed outrage over a new plan that would change the admissions process for the city’s most competitive and prestigious high schools, calling the changes racist and anti-Asian. Rebutting their claims, Carranza told Fox 5 New York, “I just don’t buy into the narrative that any one ethnic group owns admission to these schools,” the New York Times reports. The comments come as some Asian groups have protested Mayor Bill de Blasio’s new plan to desegregate city schools. According to the Times, the mayor on Saturday put forward a two-part plan that would reserve one-fifth of seats at the city’s specialized high schools for students from high-poverty schools. Those students, who are mostly black and Latinx, would be allowed entry if they scored just below the cutoff or higher on the admissions test. The move comes as city officials try to reverse years of deeply entrenched systemic segregation in New York City’s public schools. Black and Latinx students make up nearly 70 percent of all public school students in the city but account for just 10 percent of seats at the city’s specialized high schools, including Stuyvesant High School and the Bronx High School of Science. The specialized schools are among the city’s most distinguished—and competitive—educational institutions. The new proposal also includes an academic minimum: All students who enter must be among the top 25 percent of performers across the school system. But the plan has some members of the city’s Asian community accusing the mayor of racism. While black and Latinx students are underrepresented in the city’s elite specialized high schools, Asian students are overrepresented, taking 62 percent of the seats despite making up just 16 percent of the total student body in New York City public schools. For some of those students, the test is the first step in carving a path out of poverty. Soo Kim, president of the Stuyvesant Alumni Association, told the New York Times that many of the Asian students attending the elite specialized schools are low-income and spend years doing test prep in order to secure a spot at the schools. But the groups have been tone-deaf when confronting this inescapable reality: The system they want to protect has systematically denied black and Latinx students the same opportunities and resources that they desperately want to hold on to. 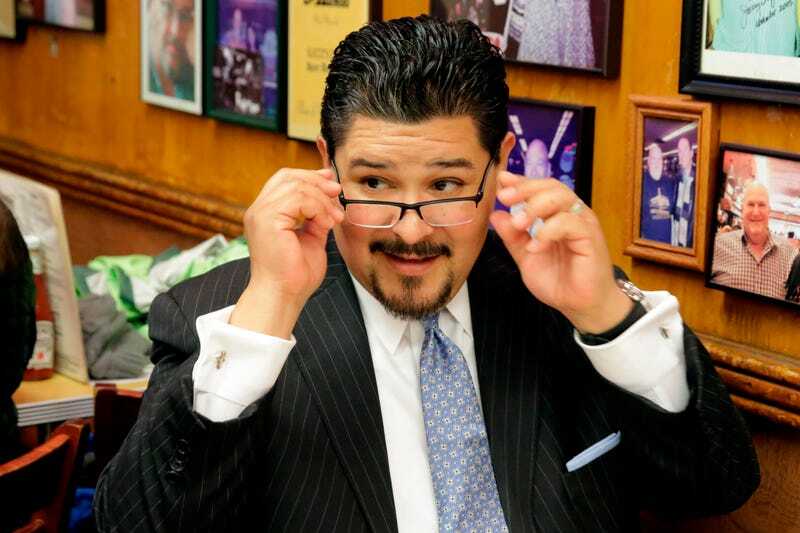 Chancellor Carranza, stumping for the mayor’s plan, said that having a more equitable system that takes a more “holistic” view of student achievement will benefit students from all backgrounds.